The master of Ballydoyle had previously won the midsummer showpiece with Galileo (2001), Dylan Thomas (2007) and Duke Of Marmalade (2008) and his latest hope was a well-backed 13-8 favourite to follow suit in the Berkshire sunshine. The four-year-old had proven himself at the highest level abroad in 2015, running well in the Cox Plate in Australia before winning the Secretariat Stakes at Arlington and the Hong Kong Vase at Sha Tin. He was narrowly beaten by the reopposing Dartmouth in the Hardwicke Stakes at last month's Royal meeting, but gained his revenge in some style as Moore executed his tactics to perfection. The three-times champion jockey was in no mood to hang around, sending his mount into a clear lead racing down the back straight before giving him a breather, which allowed the chasing pack to bridge the gap. Highland Reel remained in front turning for home, however, and answered Moore's every call to score by a length and a quarter from Wings Of Desire. 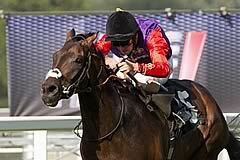 Moore said: "He's a very good horse and won in America and Hong Kong. It's a marvellous achievement from Aidan to get him back in this shape to win this sort of race. O'Brien, winning the race a fourth time, did not commit to future targets, but his charge is highly likely to be on his travels once more before the year is out. "He had a lovely run here in the Hardwicke and we were delighted with him at home," said the trainer. 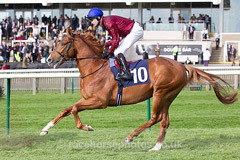 "He has pace and loves fast ground but he went in soft ground at Royal Ascot. We were over the moon with his run that day. He is a horse that can go anywhere from a mile and a quarter to a mile and a half. "We knew he didn't mind making the running. He is very happy to make the running. If he is left in front, he is happy. If there is pace on, he is happy. He is a very unique horse, really. "The horse has been progressing all the time and we couldn't be happier. "Ryan gave him a beautiful ride. "This is an incredible horse. As everyone knows, he travels the world and he's getting better, which is amazing. "Physically, the development is plain and, mentally, he's a rock. 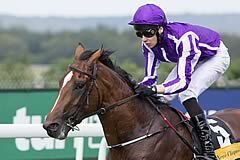 "He can go back to Australia, he can do Japan, Hong Kong and there's the Breeders' Cup Turf. He's an amazing horse and has so many options." Dante winner and Derby fourth Wings Of Desire was the only three-year-old in the field and ran an excellent race to fill the runner-up spot. Hugo Lascelles, racing manager to owner-breeder Lady Bamford, said: "He ran a really good race. He has come on from the Derby and the ground was more in his favour. "I am really proud of him. Frankie (Dettori) thought he was going to get to Highland Reel but he just out-galloped him to the line. "That was only the fifth run of his life and the third was a fair way behind so you have got to be encouraged. There is more to come from him, physically. "We might look at the Juddmonte International or the Prix Niel and we can think of the Breeders' Cup at the end of the year as well. "He will remain in training next year." Having already provided the Queen with a Royal Ascot winner in the year of her 90th birthday, Dartmouth was bidding to become the first horse since Aureole in 1954 to carry the royal colours to King George glory. Leading French jockey Olivier Peslier rode a patient race and while his mount came home strongly to pick up minor honours in third, it was all too late. John Warren, racing manager to The Queen, said: "Olivier was thrilled with him. "He got a little bit lost turning into the straight. He was on the wrong leg and it took him a few moments to get back organised again and he lost a little momentum at that point. "The Queen is delighted. He is a genuine trustworthy horse that tries his best in this company. "I've a notion that he might be an international traveller. He loves that fast ground so there is the Breeders' Cup, Australia and Japan. "We will just freshen him up but he is in good hands. "We will talk it through and as long as The Queen is happy to travel with him, we will see where we go."